Skye Gravestones | Rebecca (Macleod) & John Lockhart & family. Rebecca (Macleod) & John Lockhart & family. 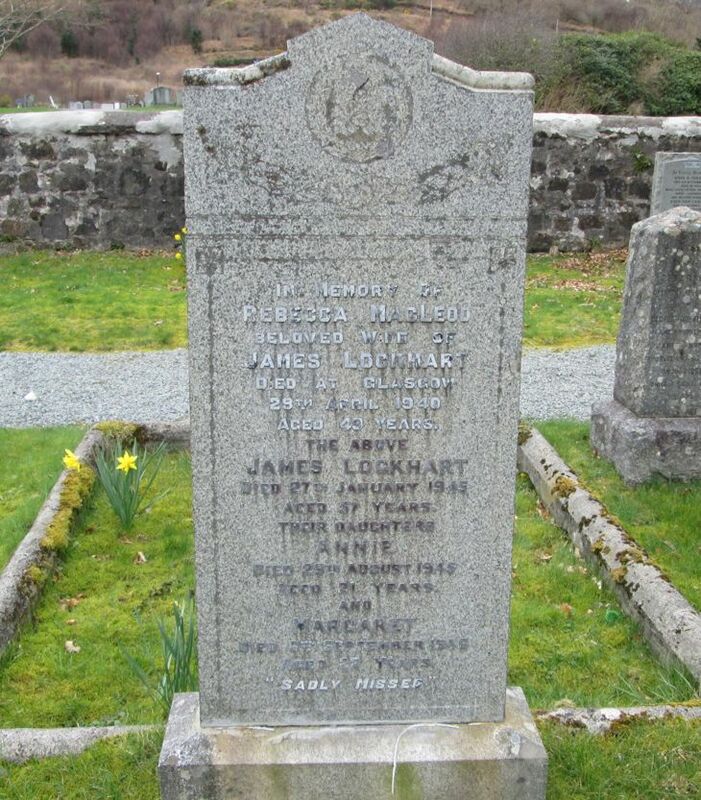 In memory of/REBECCA MACLEOD/beloved wife of/JAMES LOCKHART/died at Glasgow/29th Aprl 1940/aged 40 years/the above/JOHN LOCKHART/died 27th Janaury 194/aged 57 years/their daughters/ANNIE/died 29th August 1945/aged 21 years/and/MARGARET/died 6th September 1946/aged 23 years.